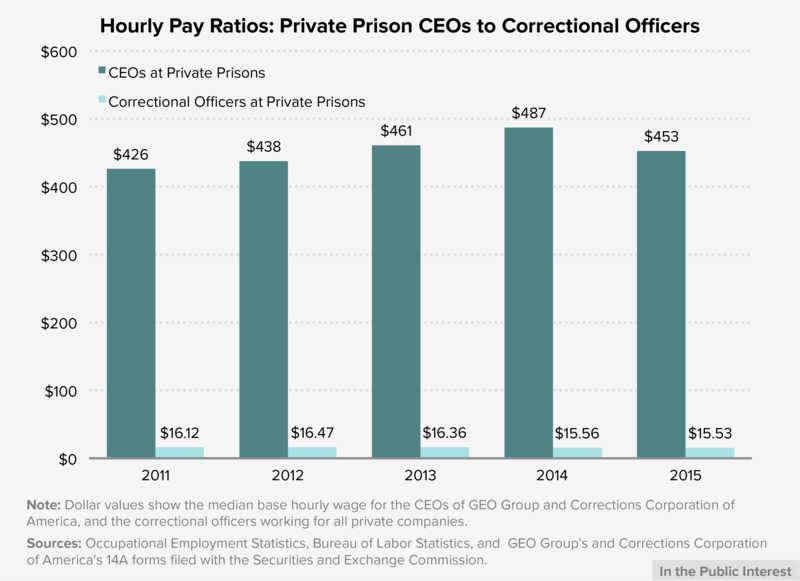 New data released last week by the federal government shows striking inequality in the private prison industry, which collects hundreds of millions of dollars in profits from taxpayers each year. 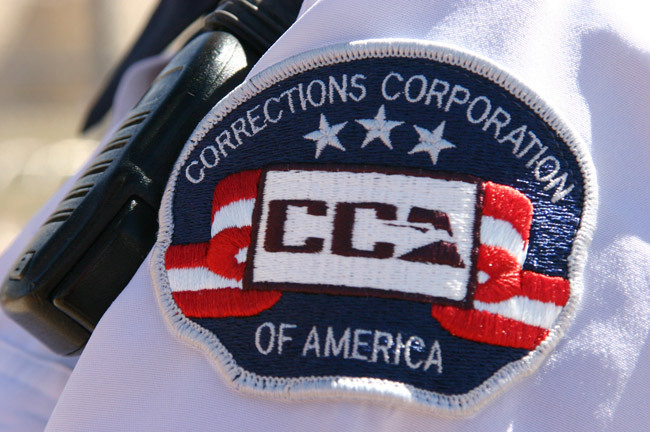 According to U.S. Bureau of Labor Statistics (BLS) data, the median salary for correctional officers at private prisons and jails in 2015 was $32,290. The data reveals that one in four private correctional officers make less than $26,091, putting them near or below the poverty line for a family of four. Meanwhile, Damon Hininger, the Chief Executive Officer (CEO) of Corrections Corporation of America (CCA), made $882,807 in salary in 2015, as well as $2,522,510 in other forms of compensation, such as stock awards and bonuses. George Zoley, the CEO of the country’s second largest private prison corporation, GEO Group, made $1,000,000 in salary and an additional $5,608,464 in other forms of compensation. 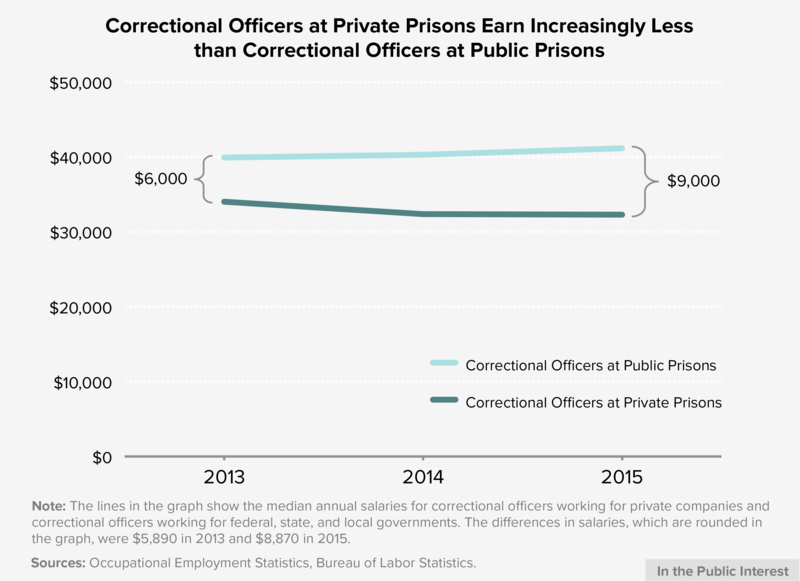 Correctional officers at private prisons earn increasingly less than their public counterparts—the median salary for correctional officers employed at public facilities in 2015 was $41,160.